Mantillas arouse strong feelings; I've done a post on the rationale here. As for Paul, yes, what he wrote about a lot of things is "inspired" but sorry, his "opinions" on social conditions of the day and social norms as he wanted them to be are NOT "gospel." They are HIS OPINIONS - he even says so himself. I find his "reasoning" on a lot of these things are lacking in logic and reason. Frankly, I don't know that the men of the day liked him either -- starting with the two disciples he told to go get circumcised to go preach. Like he couldn't find any former Jewish men to do that, or do it himself? They should have told him to go take a hike. I don't have to kiss his patootie regards his opinions on the social structure 2000 years ago. And I refuse to do so. I've no reason to doubt the existence of wicked nuns, as well as good ones, and other officious women in the decades before I was born, and the damage they did in their day, but future generations can't be expected to have their lives and devotions determined by them one way or another. 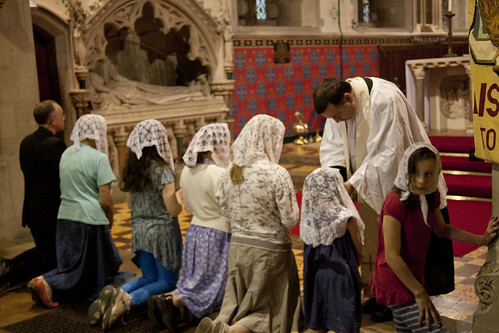 Young Catholic ladies are rediscovering the mantilla; the traumatised older generation are going to have to grin and bear it. I cannot think why. It is a charming, beautiful, modest, devout and in every way commendable custom. I would have, were I not a boy, been rather grateful to those nuns. It's no different than my mother making sure my tie was properly tied, I had polished my shoes, combed my hair and washed my hands before getting into the car for Mass. If you really do deplore the mantilla for some trumped-up reason - a horror of pretty Spanish lace? 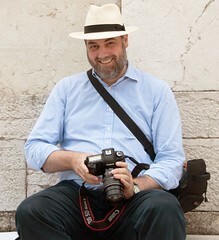 - wear a hat . Of course, neatness and correctness in going to Church are not all that common these days, which is a great sorrow to me. @Dominie: I used to have that problem with my veil slipping off also. My trick is to use those tiny "bear-claw clips" that you find in the section of your drugstore where all the hair care stuff is. I use one of those tiny ones, clipped on a small section of hair at the top of my head and the veil at the same time. Perfect. You can't see it and the veil won't budge. I find that the mantilla slips if you have a particularly sleek hairstyle, like straightened hair. I try to wear my hair curly or, a really good way of stopping it from falling off completely without using clips, is to wear your hair in a high bun, almost like a top knot. That way, even if it does slip, the bun will catch it. Also, just avoid moving your head very much and also get one made of a nice material. Synthetic materials are terrible for slipping off your head. I always get complimented on the mantilla that she made me. It's a little bit more expensive but it's worth it to honour God. Thank you so much Joseph for bringing the Loving Mantillas blog to your readers' attention. I agree Rhoslyn that one needs to either attach the mantilla on to one's head securely with a hair grip (or sew in a comb) or buy a more expensive material. Not straightening my hair would be a disaster so not an option...so I choose a comb or such a long mantilla that it hangs enough to remain upon the head. 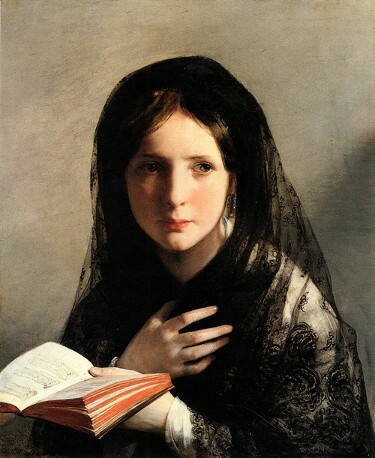 There's definitely an art form to mantilla wearing but wearing a veil is humbling and a beautiful devotion. I don't personally have that problem so I wouldn't use hair grips myself. Wearing a mantilla has also encouraged me to fidget less in mass, which may contribute to it slipping. There is something beautiful about women who keeps her eyes focused either on the tabernacle, the priest or her missal.